Prior to TX5W activity from Raivavae Island Wayne, KK6BT will be active from Bora Bora Island (IOTA OC-067) as FO/KK6BT. Bora Bora is probably one of the most famous islands from all over the world, because everyone heard of it. This is a small island with a surface of 29.3 km2 and it is part of the Society Islands of French Polynesia. Their population is quite small, according to the 2007 Census the population of Bora Bora is 8,880. This population is permanent right now. However, this island represents something special because it is surrounded by a lagoon and a barrier reef too. People are really attracted to Bora Bora, even if the island is quite small, compared with other tourist destinations. 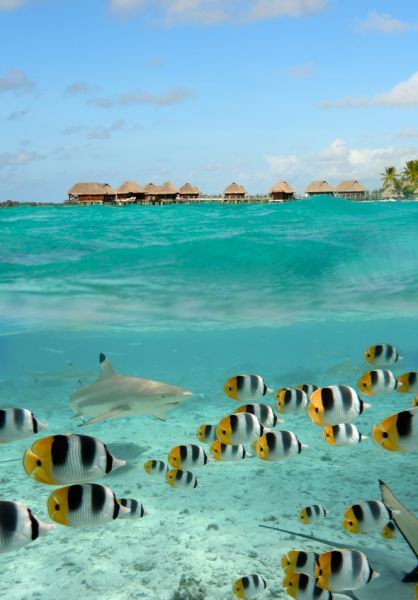 If you’re looking for a tourist destination in South Pacific Ocean you should definitely opt for Bora Bora. Unfortunately the temples of Marae were destroyed by the English colonies and there’s not too many historical places that you can visit in Bora Bora, but still, the night life and the fun activates that you can practice in here are definitely unique. The culture of Bora Bora was almost extinguished but it remained there for more than a century and it is really exotic and catching. When the English missionaries came into Bora Bora for the first time their purpose was to eliminate any sign of Polynesian culture from the island, so they banned the dance and the music while also destroying temples. However, some people were able to revive that Polynesian culture and the tourists can enjoy the authentic Polynesian music and learn their dances too. Some of their traditional musical instruments are pahu and toere drums but also the nose flute. There is also a mixture of styles in music, including classic western music combined with a bit of South Pacific classic island style music. It is a really peaceful music that relaxes everyone who listens to it. The main classic dance of Bora Bora is known as tamure and those who are coming in here for the first time can easily learn how to dance, especially during the festivities. The economy of Bora Bora is mostly based on tourism and that’s why in here you can find some really amazing resorts with luxury conditions. 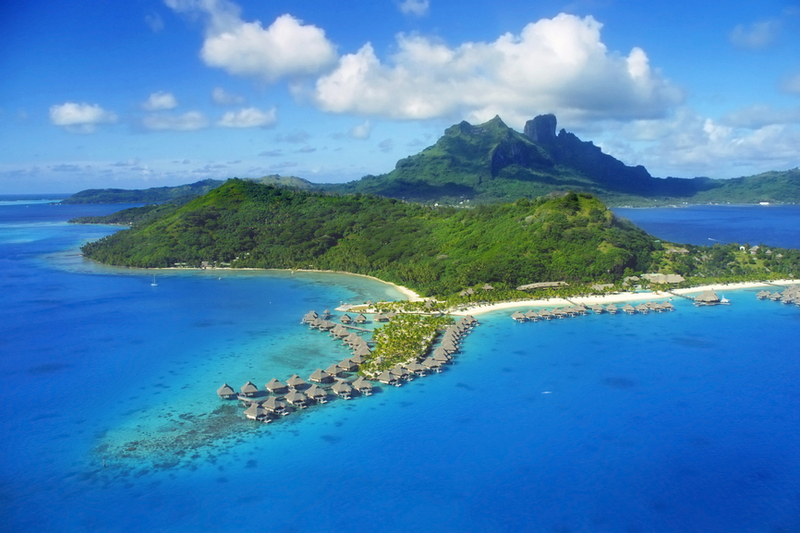 The two official languages spoken in here are French and Tahitian although many of those who are living in Bora Bora are also speaking English. The reason is quite simple, considering the fact that most of their tourists are coming from North America, Europe and Japan. Also, people from Australia and New Zealand are also coming in here to take a look at a small place that it is actually very quiet and relaxing. The Tahitian food is usually eaten using your hands and this is more likely a tradition of Bora Bora, but their cuisine is very complex. When it comes about cooking, the restaurants from Bora Bora had all kinds of influence. As an example, their cuisine is mostly focusing around the South Pacific recipes for cooking, but they are also having French, Italian and Japanese influence. There are luxury restaurants who are serving fancy dishes and there are also small restaurants with food that is affordable for every budget. However, when it comes about traditional cooking, those who are living in Bora Bora are cooking using pit holes. For the Europeans and Americans this sounds just like an amazing and unique way of cooking but for them this is something usual. Inside the hole they are making a fire and after that they are throwing stones which are getting heated by the fire beneath them. The food is covered using banana leaves and then it is thrown into the pit. The whole is then covered with dirt and those who are attending such a feast should wait several hours until the food is cooked. However, the restaurants are mostly using fish, chicken, pork, rice and fruits in their dishes. As an example, the fish is marinated into coconut oil for a period of time and this provides an excellent taste to the fish. 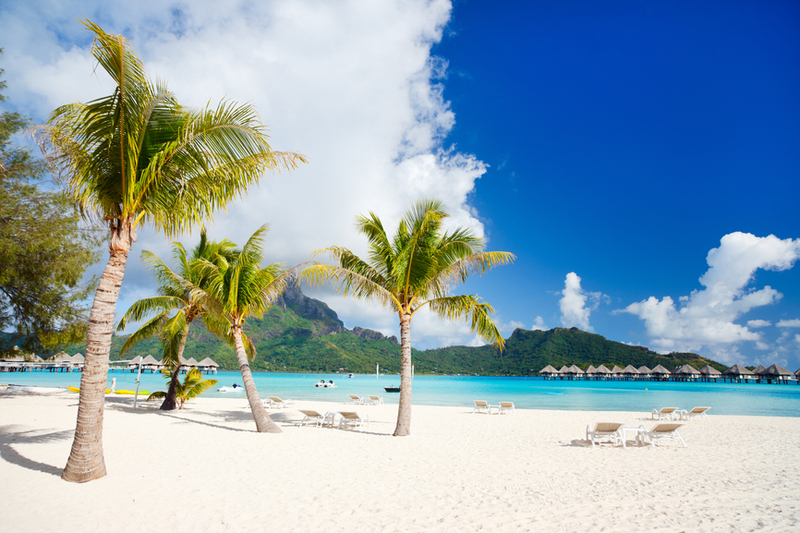 Thanks to the United States, Bora Bora became a perfect tourist destination and everything started in World War II. Luckily Bora Bora was not involved in the war although the Americans transformed part of the island into a military base. Even today those who are visiting Bora Bora are able to see the airport built by the Americans but the airport is not working anymore. The climate is a tropical one, with two seasons: humid and dry. During the dry season, which starts in May and ends up in September, the island is full of tourists who want to enjoy the beauty of the island. Some of them are coming only to practice scuba diving because during the dry season the water is very clear and everything can be seen. There’s not too much wildlife to see on Bora Bora, but there are some exotic birds surrounding the island. However, the marine life really represents something impressive thanks to the barrier reef. The deep-sea fishing is yet another tourist attraction that contributes to the economy of Bora Bora. Even if this island has a dormant volcano the plants and trees surrounding the island are still providing the most amazing landscapes. There are different types of resorts and hotels on Bora Bora. Some of them are offering luxury conditions by the time others are only providing medium conditions. Not everyone can afford a room with a balcony that allows you to see an amazing night landscape, but still those who are looking for a bit of relaxation and fun should definitely visit Bora Bora. This is not the type of destination that is really expensive. Everyone can afford a holiday in here and they can finally enjoy some South Pacific culture. This is the right place to practice water sports while also enjoying traditional parties during the summer time. Bora Bora can really offer that unique experience designed to be remembered for a whole life. You should definitely give it a try and to explore the wilderness of this South Pacific Island.